“Overview: Bennetto Natural Foods Company launched its flagship product this year ‘Bennetto Drinking Chocolate’. 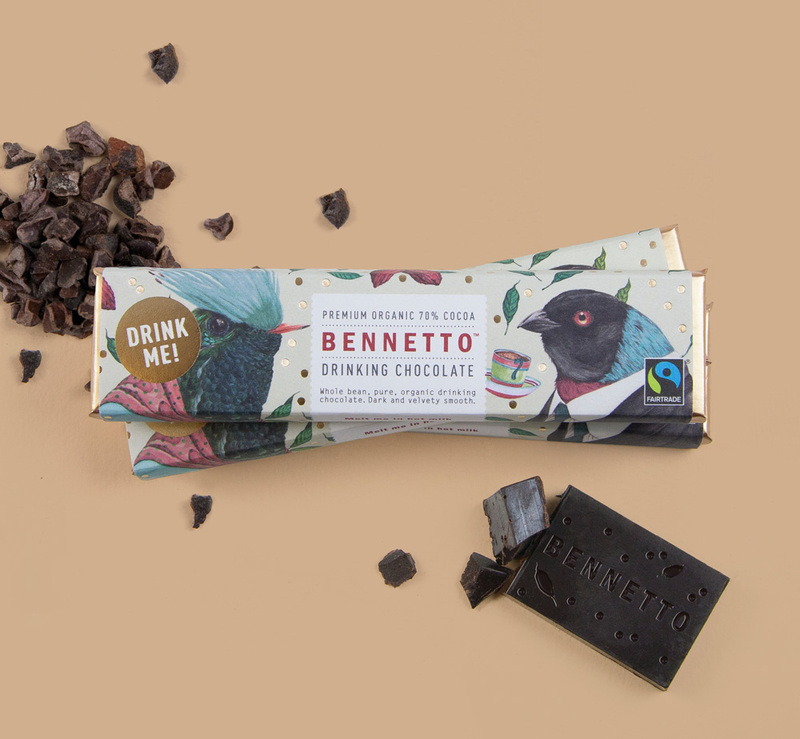 It is positioned within its market as a luxury confectionery brand, with cacao sourced from a certified Fairtrade cooperative in Peru. The two key demographics are business to business and direct to consumer. Within the business to business sector the primary categories targeted are large luxury hotels and international airlines. For our direct to consumer market (via local cafés) is skewed towards health conscious women who enjoy current health food trends and have an adventurous and sophisticated palate. “Barriers to overcome: The product needed to deliver many sentiments within a very small space. 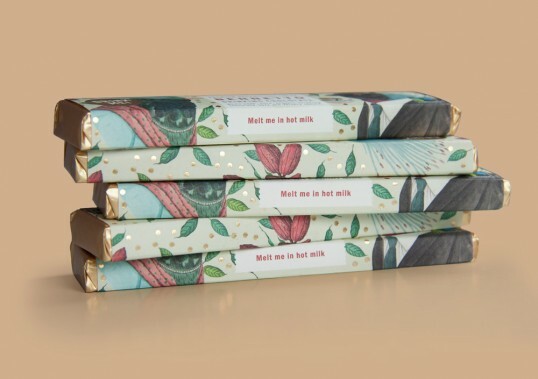 Also the key message that the chocolate bar is for ‘drinking’ needed to be clear as this is what sets the product apart from its artisan chocolate bar counterparts. The idea: Our idea hinges off the cacao origins and we therefore based our design on two exotic Peruvian bird watercolour illustrations, dressed in tea-time attire about to enjoy a warm luxurious cup of hot chocolate, surrounded by a dreamscape of floating cacao leaves, beans and the all important cup of hot chocolate. 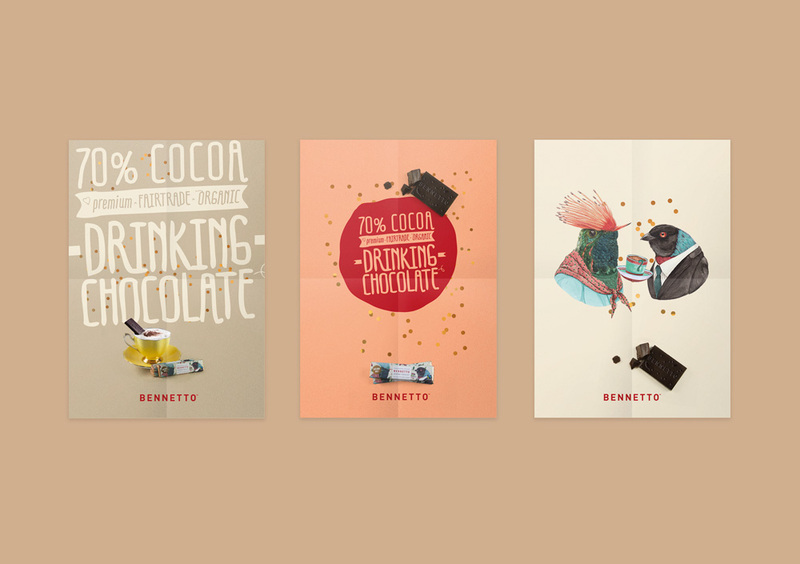 Design solution: Our strategy was to create a point of difference while positioning Bennetto in the contemporary and sophisticated quadrant. Our thought was to deliver an endearing illustration of an off-beat yet cordial moment between two very prim and proper exotic Peruvian birds. This level of narrative for such a small package was fresh and exciting territory for this category. The modern illustrated birds have just the right balance of quirk and sophistication that makes the product feel adventurous and imaginative. 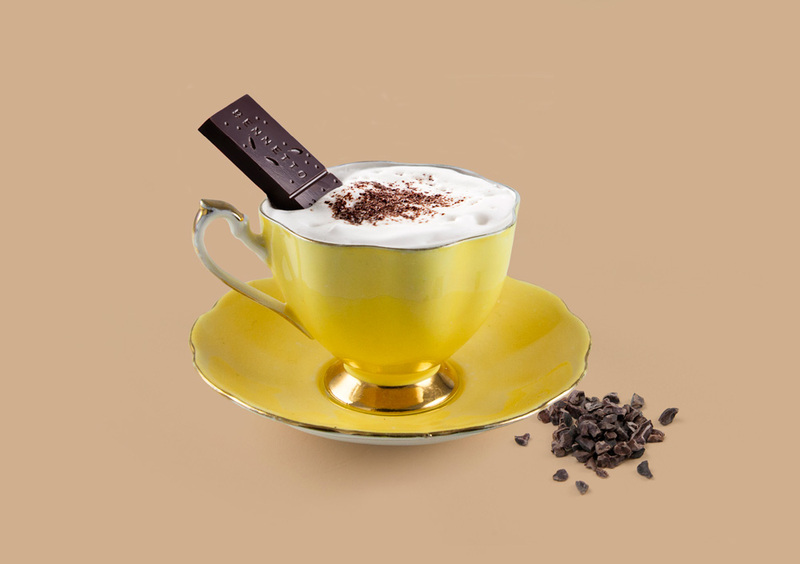 The luxe of the gold foiling elevates the product into a high-end realm allowing it to sit comfortably above its contemporaries while subtly maintaining some of chocolates more traditional qualities. 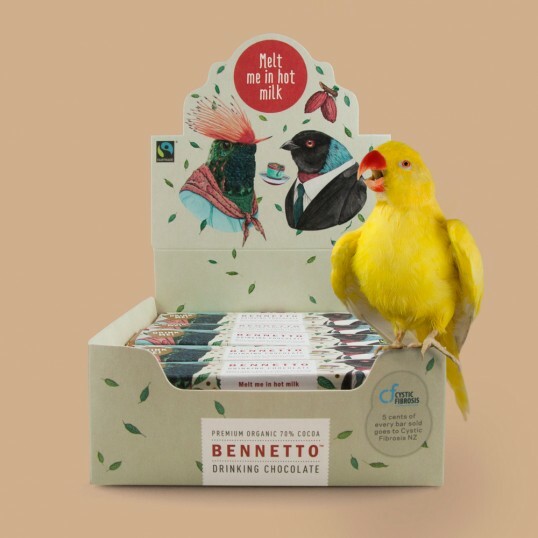 Don’t get me wrong, this identity/packaging is gorgeous; but if you’d gotten a real bird, that would have been ten times better. The stuffed one is just disconcerting enough to be distracting. 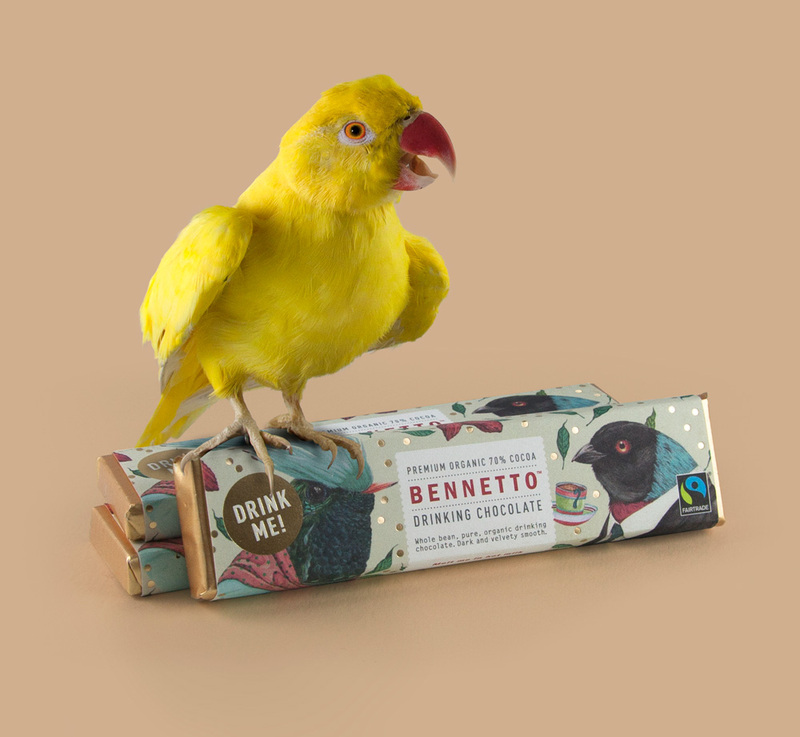 Besides, this packaging is totally lux—why wouldn’t you get a real bird?? 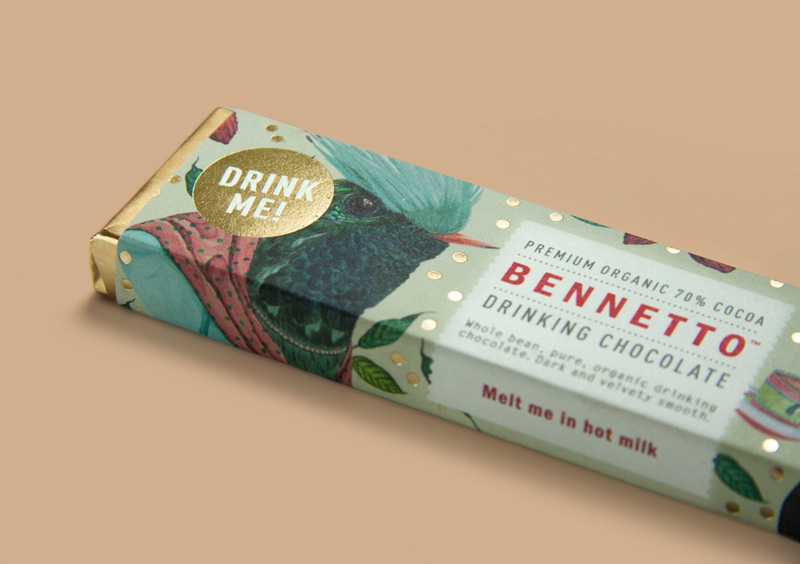 Great,I love packaging with illustration pics. Damn it wasn’t a real bird? A real bird would have made it epic!